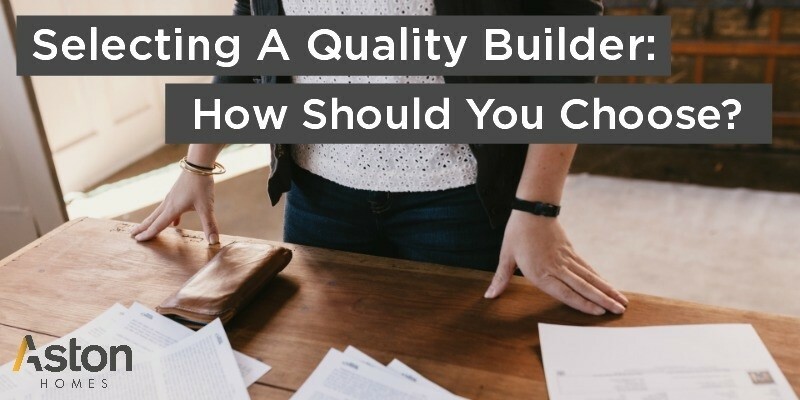 Selecting A Quality Builder – How Should You Choose? At Aston Homes, we understand that selecting a quality builder can be a difficult and sometimes costly task! Instead of being a hassle, appointing a building should be an exciting occasion for you and your family. Aston Homes’ friendly team want to ensure that you enjoy the process of selecting a builder, and in today’s blog we furnish you with the tools and knowledge necessary to make the very best decision. The experienced Aston Homes team present their hard-won building wisdom to you in this handy four-step guide to selecting a quality builder. So, what are you waiting for? Let’s get your dream home in the works! What better way to get a feel for the quality of a builder than by visiting their finished product? Attending a builder’s display suite provides the perfect opportunity to ask questions, make notes and take time to imagine yourself in the space. Not quite sure what to expect on your display home visit? To help you along, our Aston Homes superstar Sales Manager has outlined what you can expect from an Aston Homes display home visit here! It’s important that your calendar aligns with that of your builder. Once you’ve made the decision to build, you hardly want to be waiting months and months ’till move in date! Permits – depending on all relevant information being provided on time – take approximately six weeks. That’s just three months and we’ll have you on site! At Aston Homes we call this a ‘quick site start’ and you’d be hard pressed to find a builder that matches the pace of the Aston Homes team. The overall Aston Homes construction period is approximately twenty weeks – each week that passes bringing you closer to home ownership! Client feedback is a wonderful tool when it comes to selecting a quality builder. It’s easy to jump online and check out an established company’s Google Reviews. A great builder will have fantastic reviews, but also adequate responses to any negative reviews they may receive. 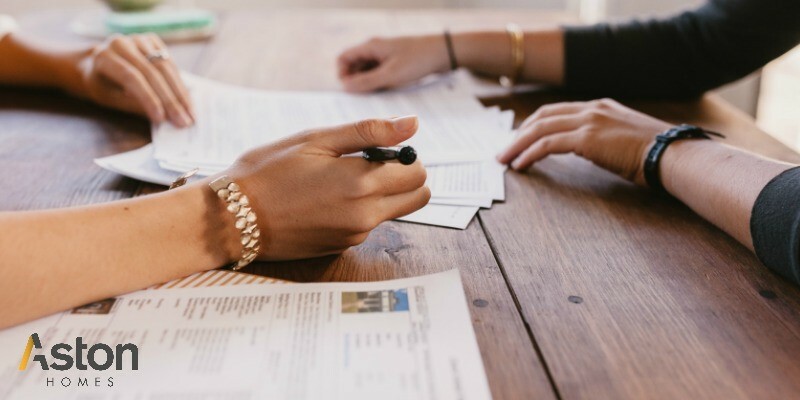 If a builder has taken the time to address an individual’s negative experience, this displays their transparency and commitment to service and resolution. The key message here is that online reviews are useful for getting a feel for a builder’s service and reputation, however (like much of the internet) they must be taken with a grain of salt! A superior way of assessing the quality of a builder is to request the contact details of a builder’s current clients. Many of Aston Homes’ clients are very happy to chat! These clients will provide feedback that is extremely useful – as they are immersed in the experience. You can read some of Aston Homes’ client stories here. It’s time to talk money! If you’ve received quotes from a number of builders, lay them all on the table and get to work. At Aston Homes, we’re all about transparency and being upfront with our clients. Courtesy of our many years in the building industry, we’ve observed buyers disappointed to learn that not everything they see in many builder’s display homes is part of the advertised price. At Aston Homes, we don’t lure you in with a great price, only to charge you extra for the fixtures, fittings and fine details you love. It pays to keep these inclusions and hidden extras in mind when comparing your quotes! The Aston Homes team are happy to answer any additional questions you may have, and we welcome you to visit our display homes. Our doors are open from 11AM to 5PM daily at both of our locations. For more information about visiting our display homes, please contact our sales team, or check out our facades and floorplans here.